I know I said I would talk about the terrain generator but Saturday was here and it was our game day. 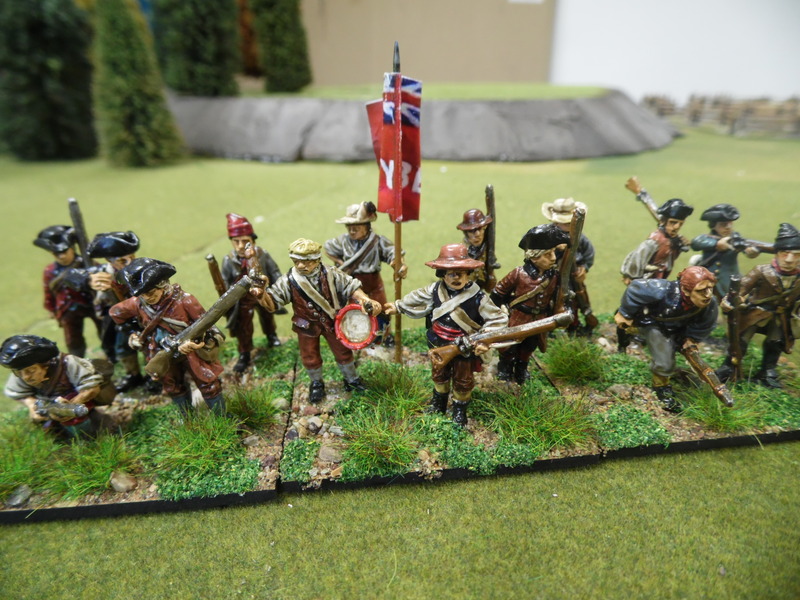 Nathan came around early and we set about building his British brigades for the campaign, as his computer had broken. 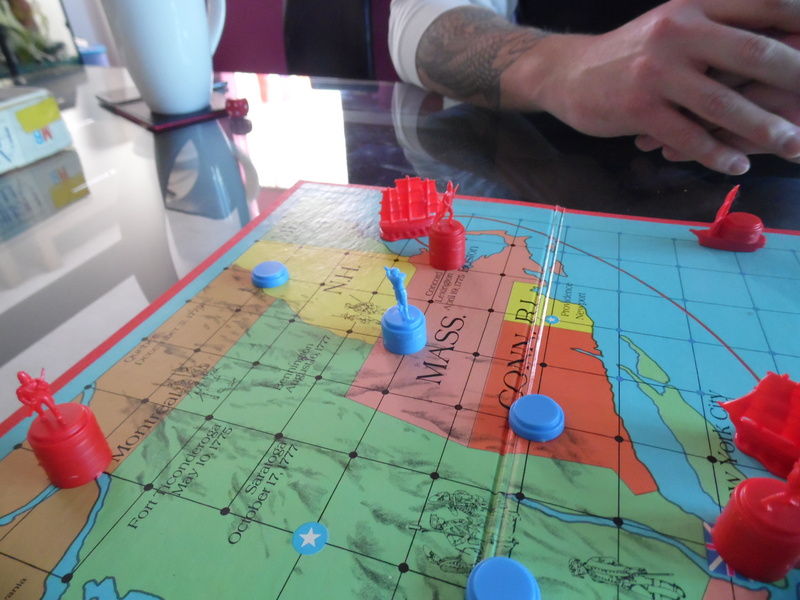 We then sat down to play the board-game. It was only turn 3 when things started to go against the idea of how the game would play in our heads. I rolled “snake eyes” which meant that I was unable to move any of my units. 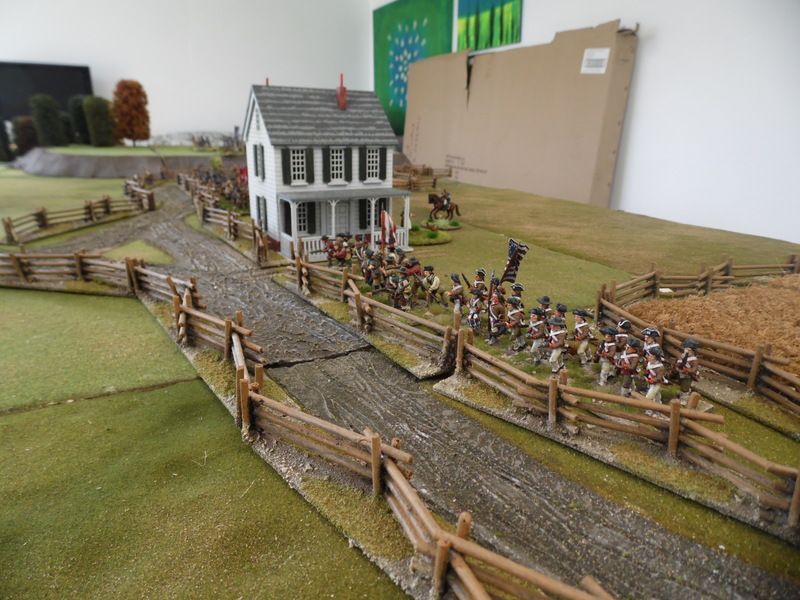 This allowed Nathan the chance to catch one of my two state militia based armies and force a major battle. 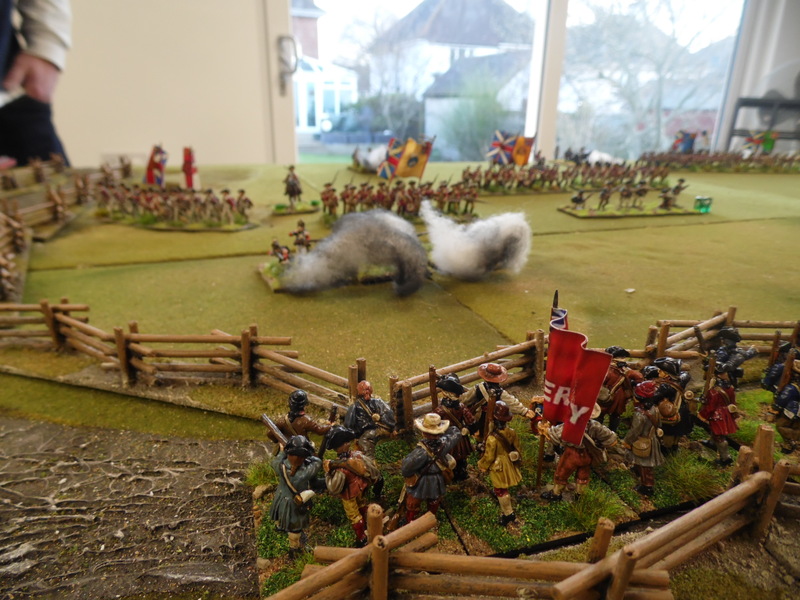 My plan had been to avoid a major battle until I had consolidated my forces. Well we all know about plans and what happens to them! Well it did. Turn 3. Nathan nominates the land unit at the top of the picture near Boston and unfortunately I had “snake eyes”. With Nathan’s roll of a two in lands straight on my unit. That said this is what campaigns are all about though. Nathan had a strength of approximately 500 points while I not only had inferior troops but only 300pts worth. I am not sure that if we were doing a normal game we would ever have fielded forces like these. 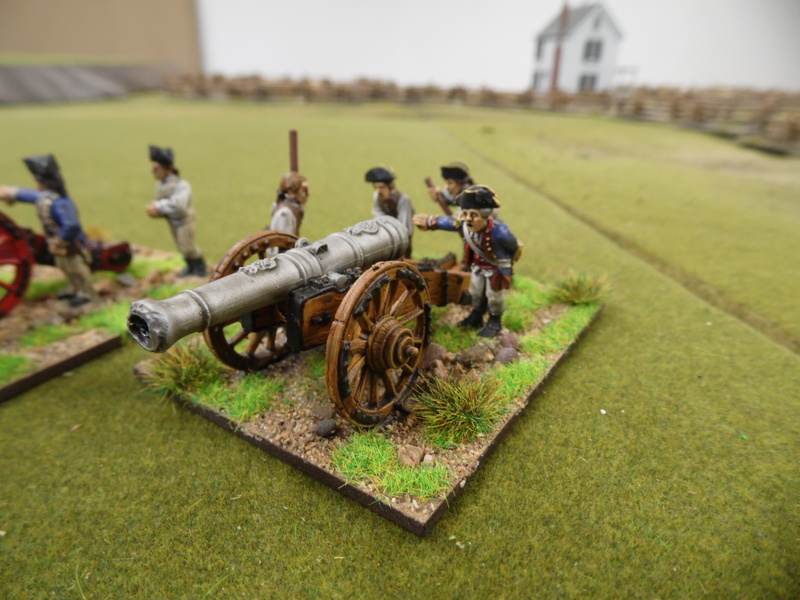 Not only did Nathan have better troops but when we got his forces out for the table top he also had a Howitzer and a large artillery piece in the force. These are very powerful on the tabletop, if they hit. This made me feel very intimidated as I had militias and a light field piece. 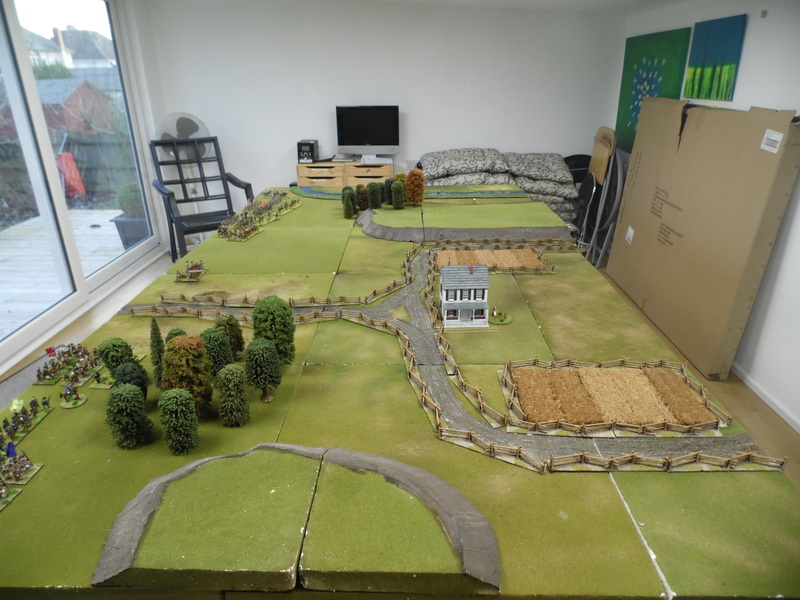 The terrain generator also threw up a battlefield I would probably never layout normally – a river down one flank a ridge splitting the table, a farm and some woods all added to the next dilemma. Where to set up as the defender? 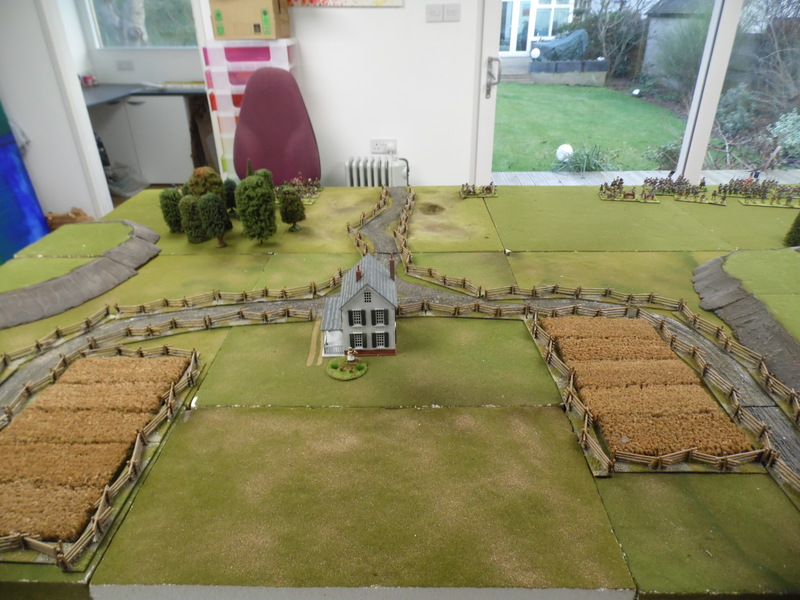 Do I take the open side to the South and force the British to be crammed up in and around the farm although they would have the ridge to sit that heavy gun on or take the farm with its defensive fencing but allow the British to almost deploy along the whole Southern edge. In the end it was the ridge that sold it two me for two reasons. 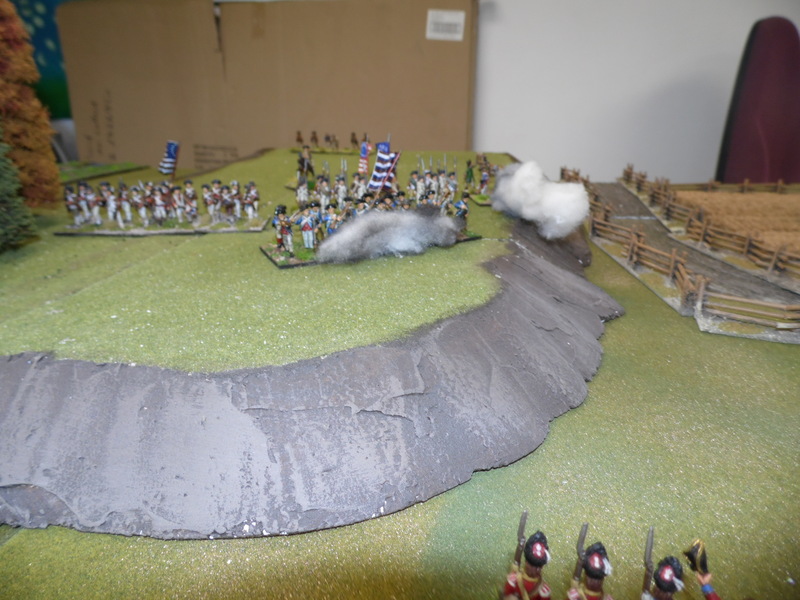 The elevation sort of protected my right flank but would also slow down any British advance due to the reduced movement uphill. This may allow me the time to turn on my heels and get away before melee. I deployed my stronger brigade on the ridge so they were easier to extradite but this did leave them exposed with no fencing to hide behind. 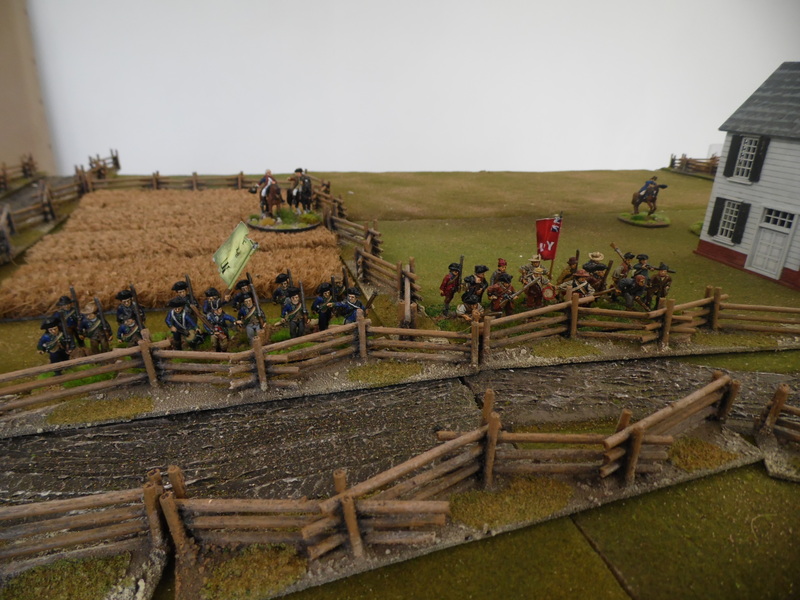 My weaker brigade occupied the farm and lined the fencing. 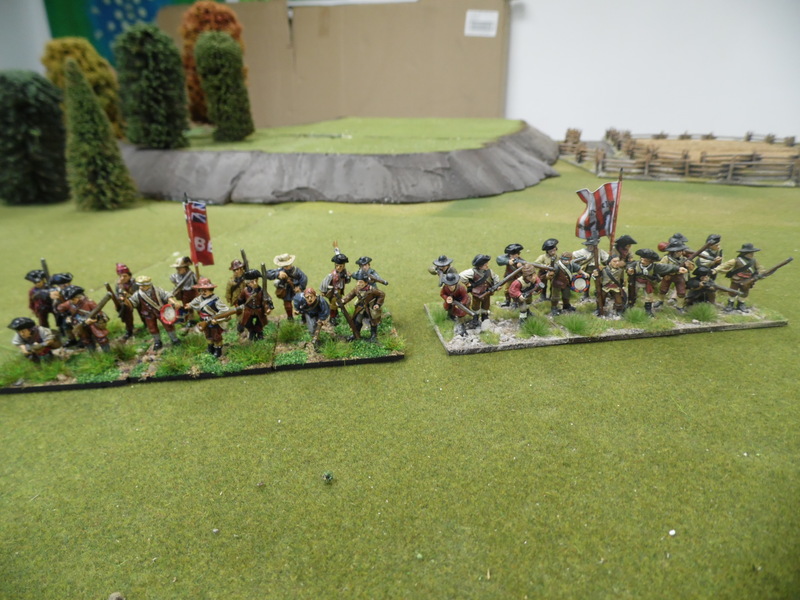 I gave orders that all units are to engage the British in at least 3 round of fire but if they closed too quickly to break off and leave the field. The British set up gave me hope! 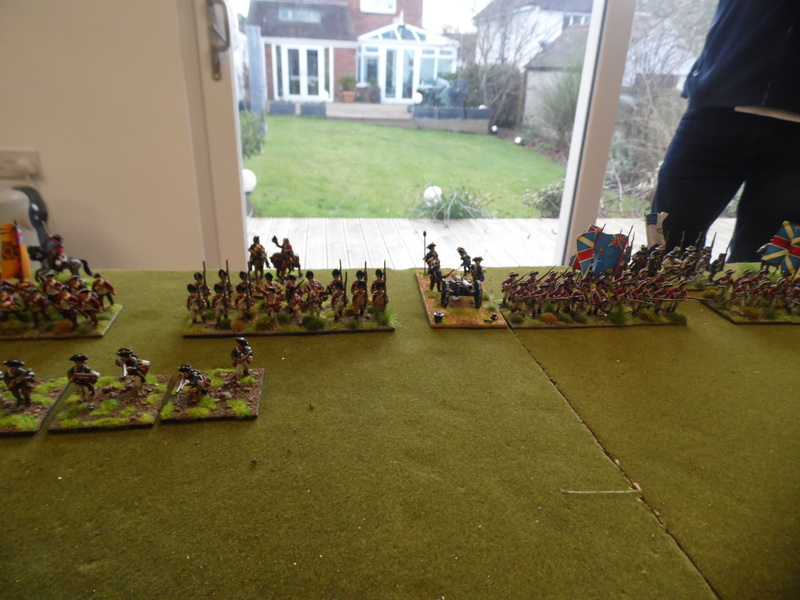 They concentrated all their forces around the centre except for the lone cavalry unit out on their left flank. This I guessed would be used to flank the woods and attack me from my right flank. This I thought would take about 5-6 turns depending upon the activation cards ( They would not be able to be activated on the CinC’s card once they were out of sight). 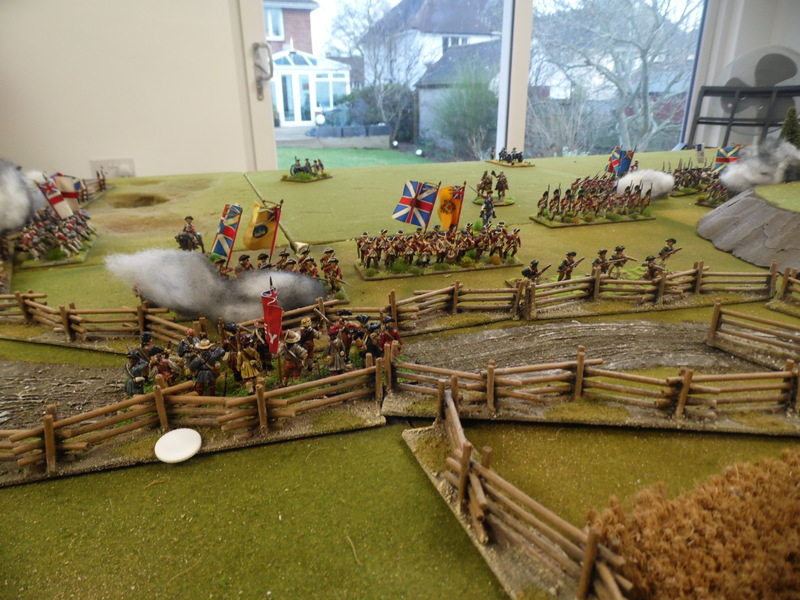 This left my left flank over flanking the British right. 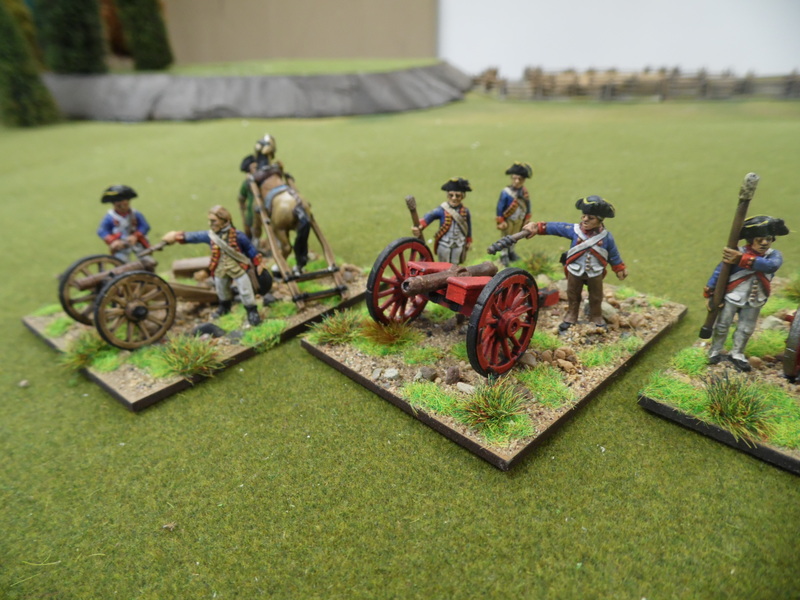 Should I advance my 2 left flank militias and swing them in on the flanks of the advancing British? 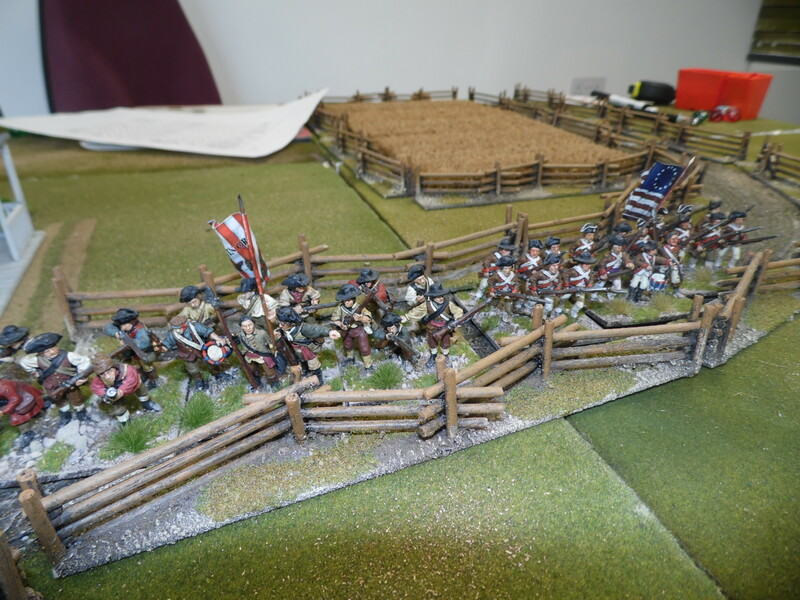 Turn 1 Steady advance by the British across the whole line. 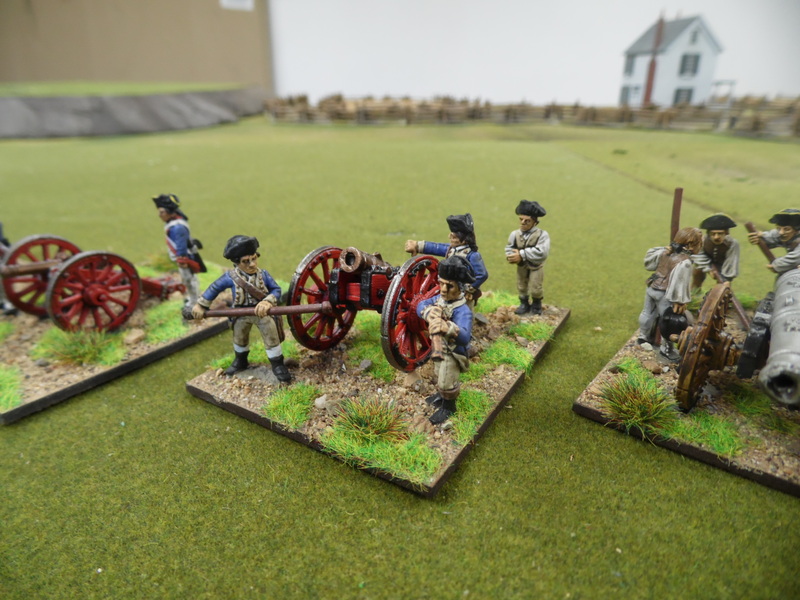 Their artillery inflicted a total of 3 hits between them luckily all were saved. I advanced my rifle on the hill a little closer. They have a 24” range while the British have a 12” range. 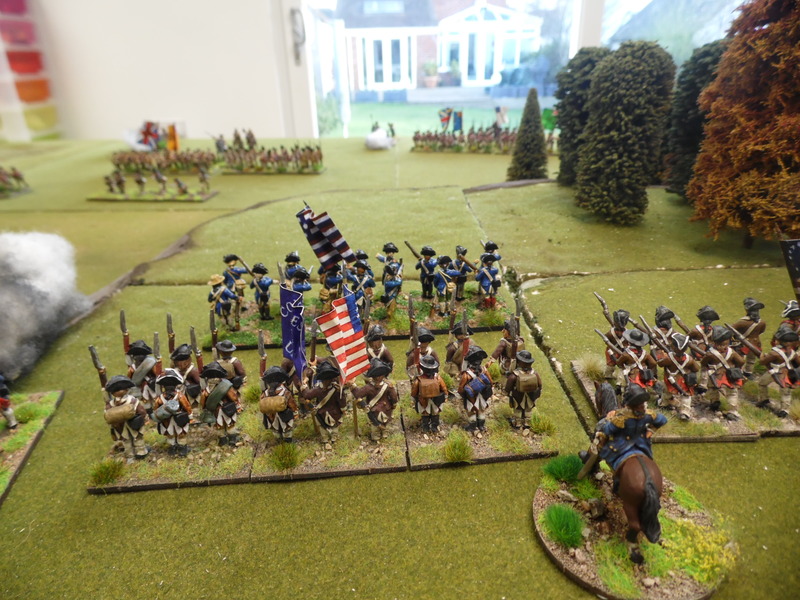 My artillery fires and hits a line unit which is unsaved so first blood to the Americans. British again steal the march with all their units getting activated and the artillery hitting and inflicting 2 hits which I cannot save. 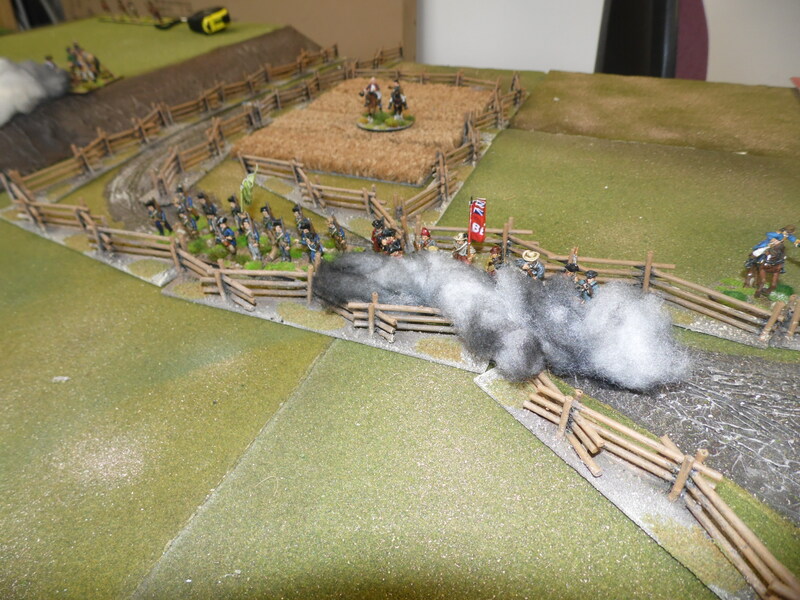 My centre fire and take out one the British Light infantry units. My artillery fires but hits nothing. The British get the draw again with the activation cards. Only half of mine get activated. 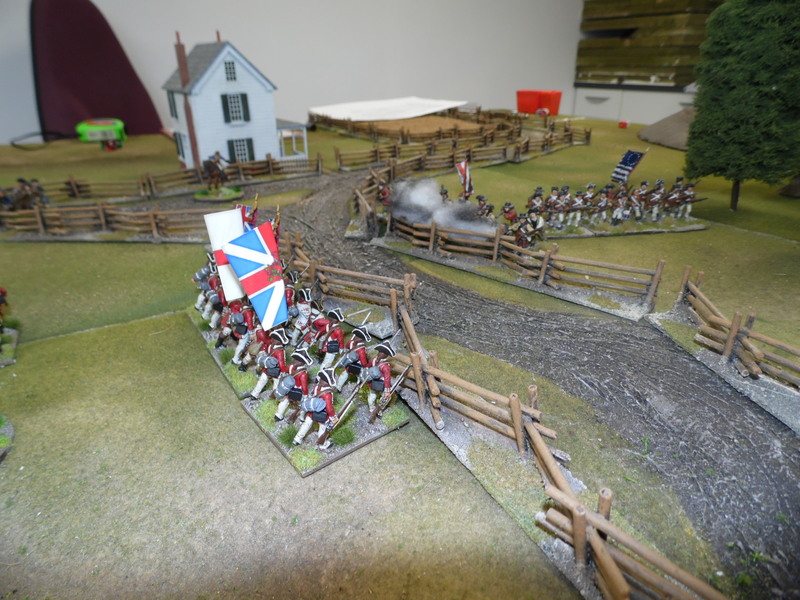 Their left flank hold back to allow their large gun to fire. 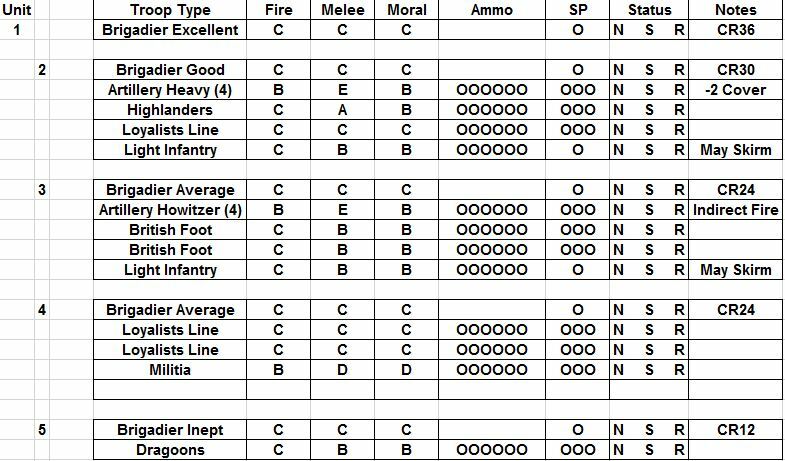 This flaw in their deployment does not stop them destroying my riflemen!!!!!! 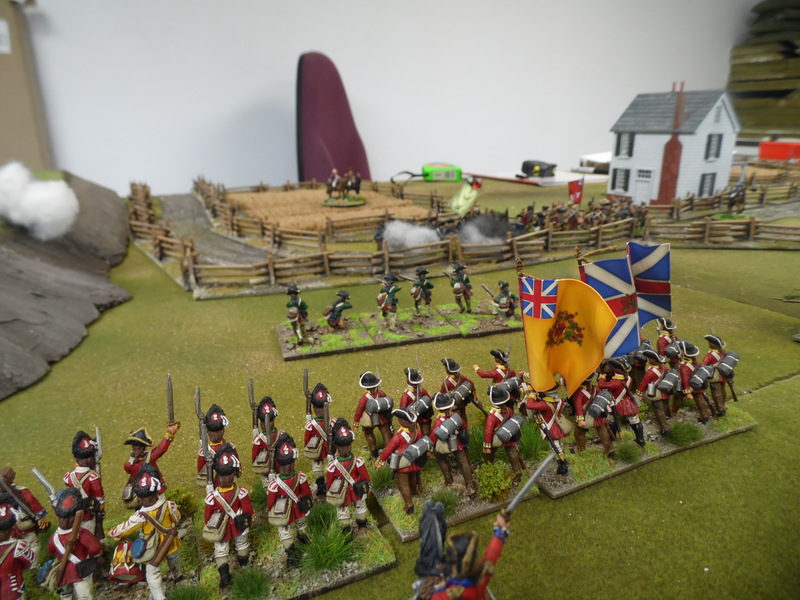 I open fire against the highlanders and inflict 2, both unsaved. 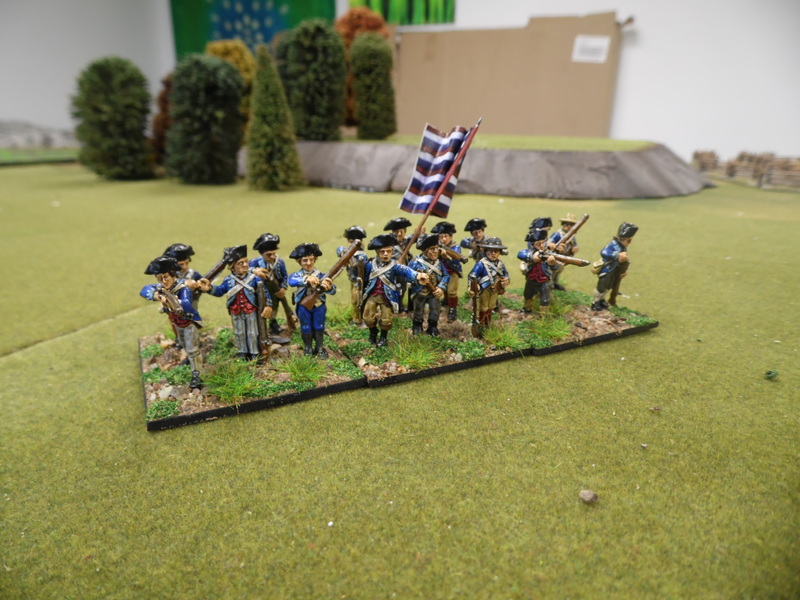 While that would normal be the end of any unit as it would be only 1SP strong so would roll only one die but due to the large size of this highlander unit (5SPs) they are now the size of a normal unit! Turn 4 Only the British get activated and move ever closer before the End of turn card is drawn. While I can fire I cannot make any moves. The British are too close for comfort, I cannot allow them to get into melee with mine. I do manage to inflict another hit on the Highlanders but take another couple of hits from his guns. End of Turn card drawn immediately. Both sides fire and I take another 3 hits which convinces me it is time to leave the field. 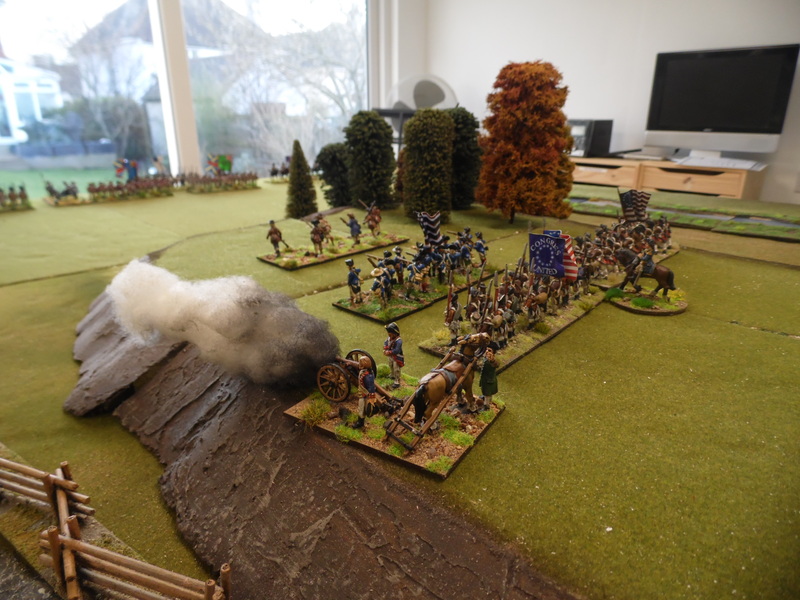 For this turn I can only respond with firing and hit again the highlanders as well as a loyalist unit. First bit of luck, I get my army activation card. 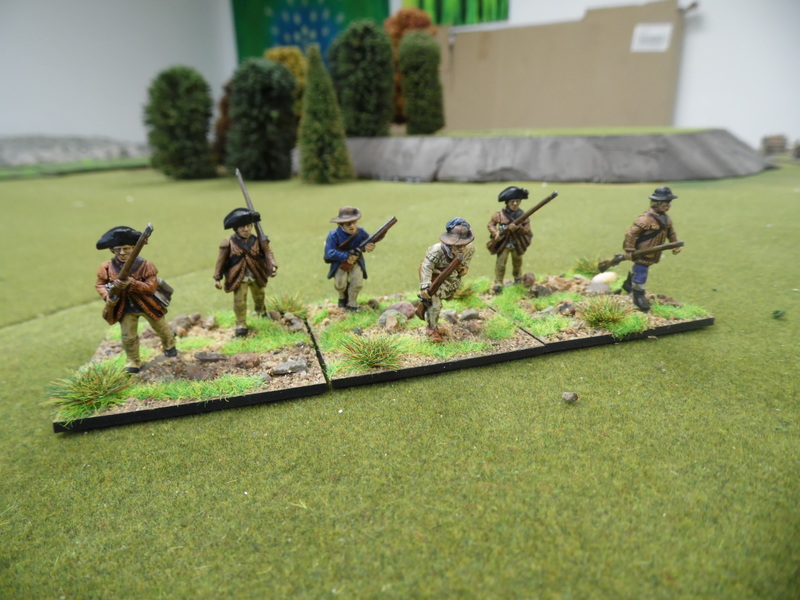 The plan was to run but………………… if I fired and caused casualties, I believe a number of the British units may fail their morale. If I don’t hit or they don’t fail their morale then when the brigade card are drawn I can extradite them then. My boys had their eye in as every unit caused a hit. Unfortunately every hit was saved! The next card out was the End of Turn so I had nothing to fire, having already been activated but the British opened up and caused another hit wiping out a state militia unit in my centre leaving a gap in my line. 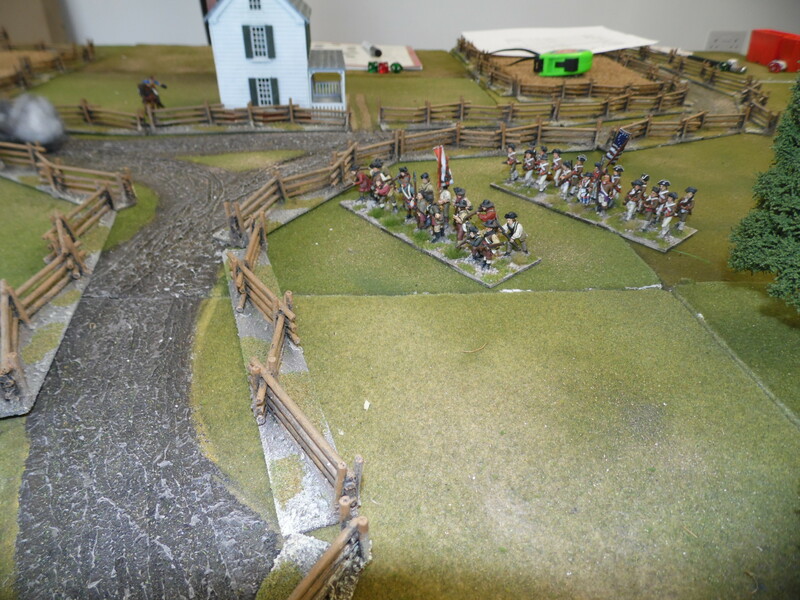 The first cards out were all American so I managed to start the extraction process although one unit did get caught up on the fencing so were shot in the back by the British. 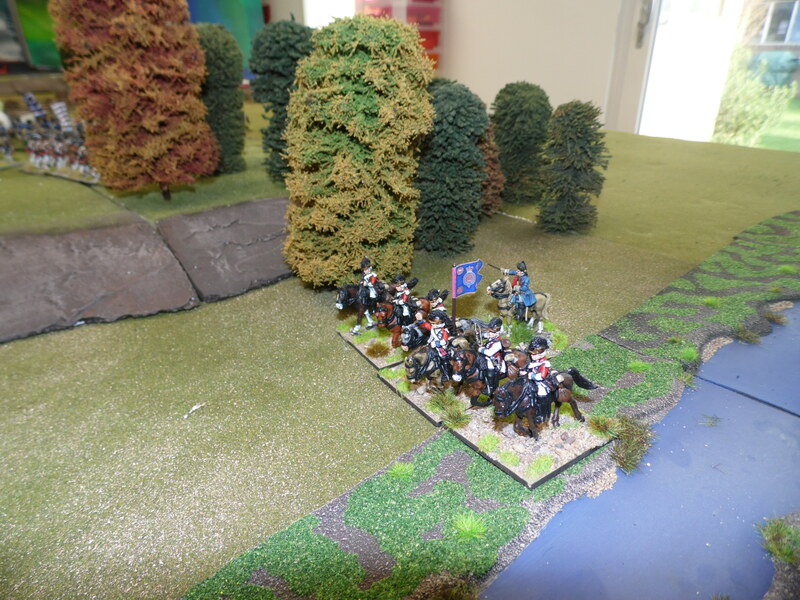 Their cavalry had just started to appear around the back of the woods so definitely time to go. End of Turn card frustrated the British and allowed me to slip away, bruised and battered but happy that a good fight had been put up. 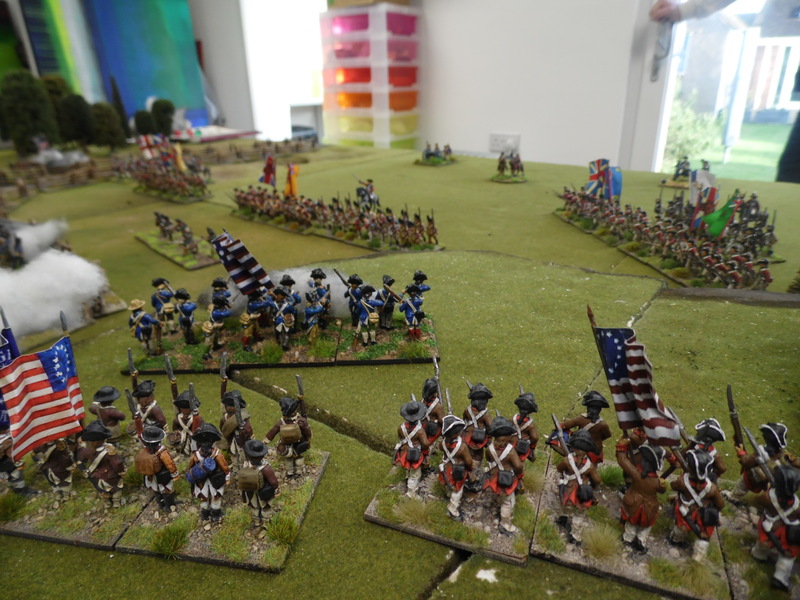 The British lost 105 pts of infantry and the American 112 points. 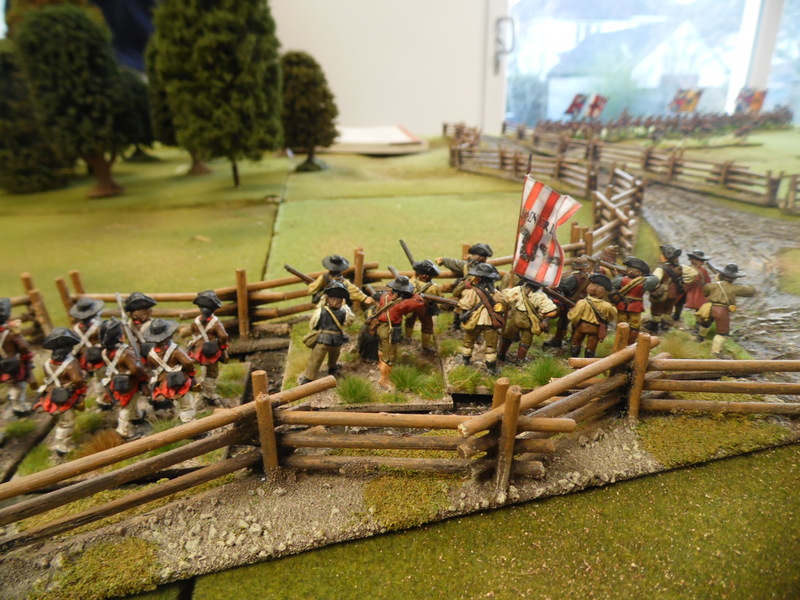 A draw on points as neither side inflicted more than 10% than received, but as the British held the ground a minor victory was awarded to them. 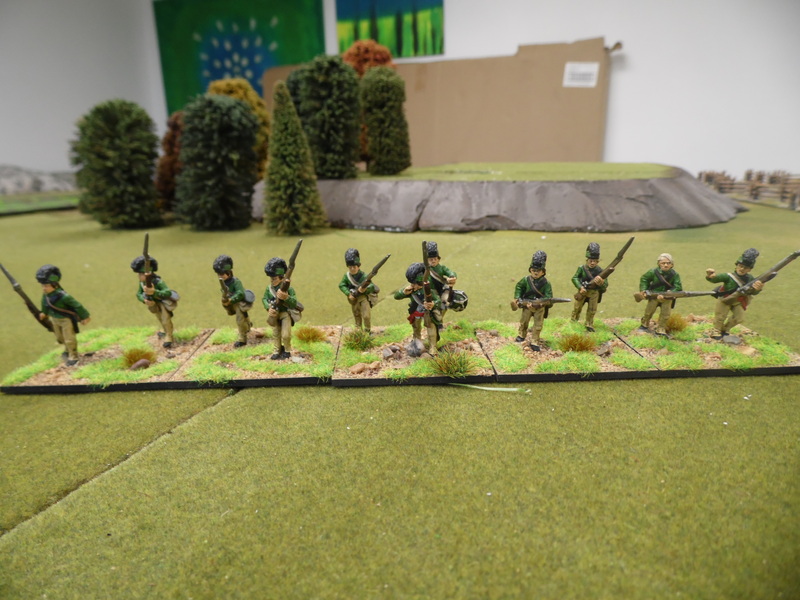 As it was a minor victory it did not amend any of the units rating, a major victory or loss is required to do this for the British. 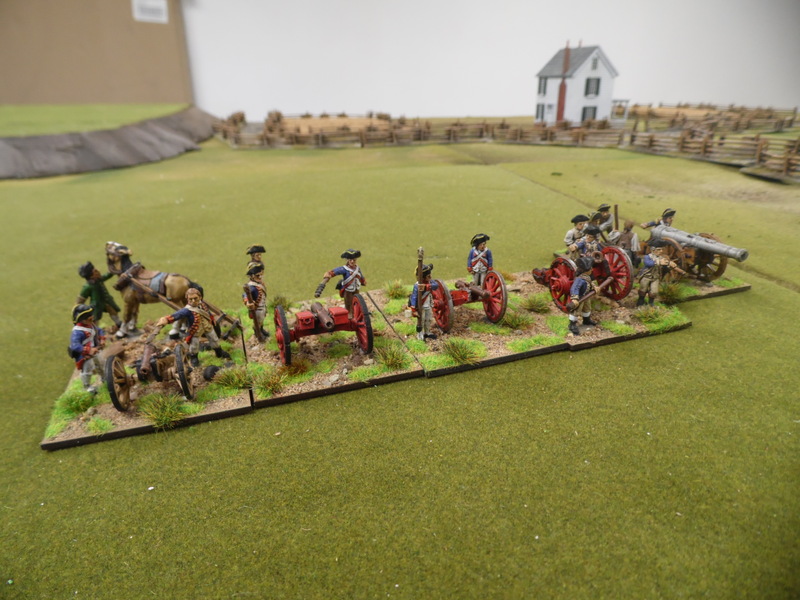 We rolled to see was reinforcements were available to bring the units back up to strength and called it a day. 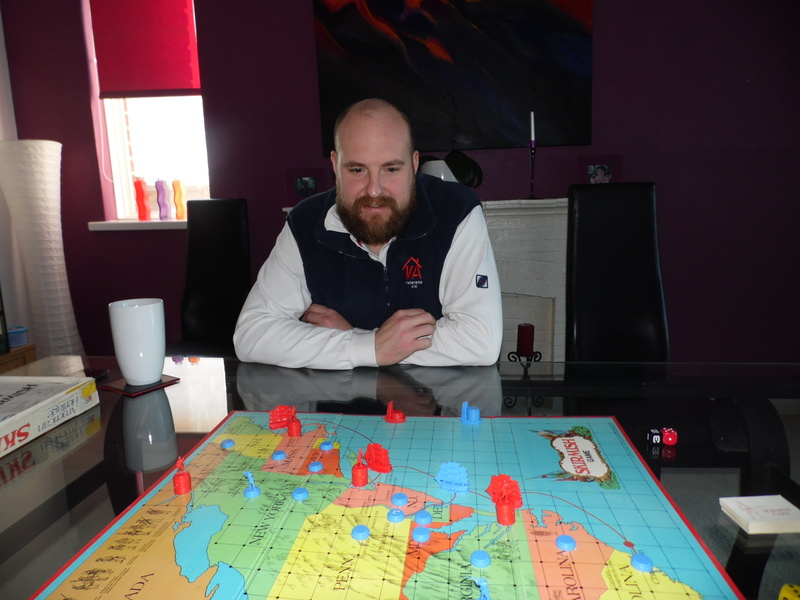 We both agreed that the system had worked well and gave us a really enjoyable game with pressures that we would not normally feel in a standard table top game. Since the last post I have been very busy but have still managed to add a bit more to the campaign idea. 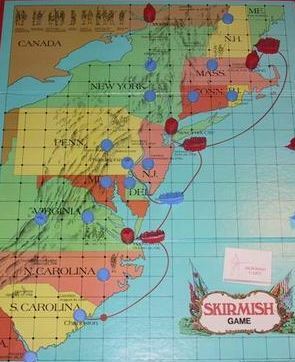 Play the boardgame “Skirmish” as normal until there is either a major battle or a naval battle. 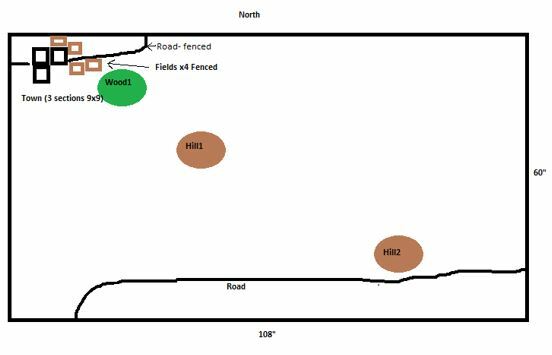 This is when both forces end their move in the same area. Before the campaign starts each counter is numbered and a force representing it is picked (see below). 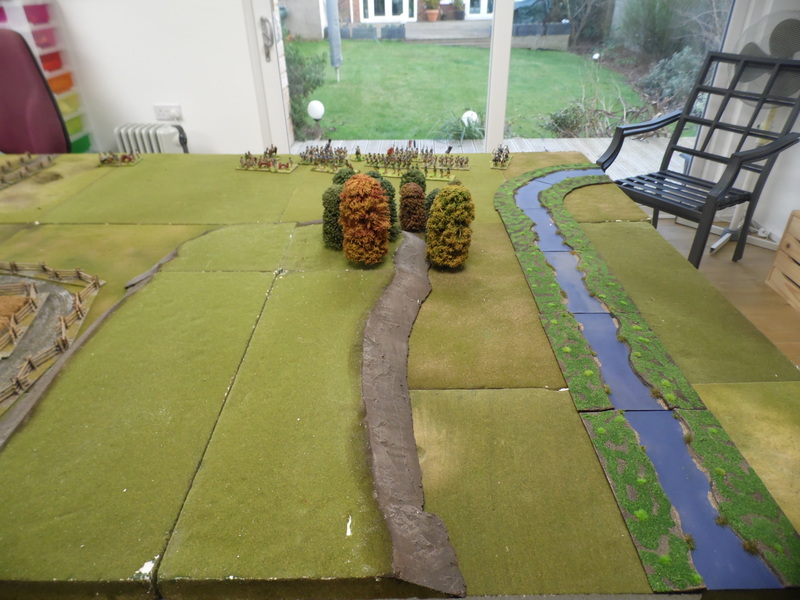 After the battle forces are reviewed and consolidated with surplus counters being removed. 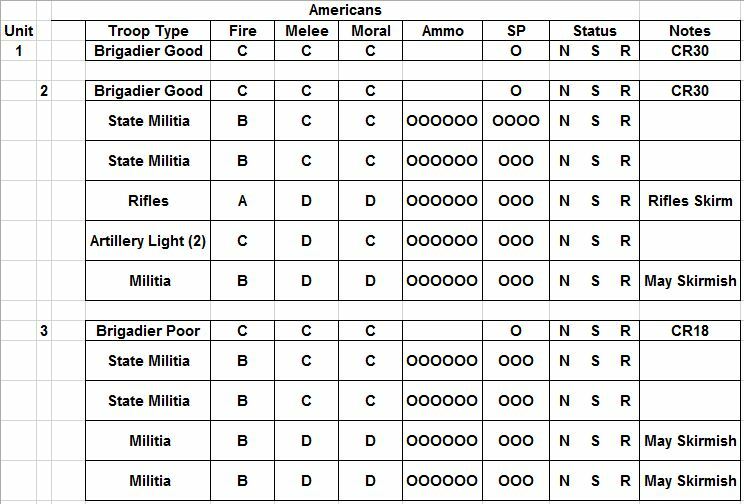 Each unit is to be tracked and their ratings can be modified depending on things such as: winning/losing/ engaged enemy. 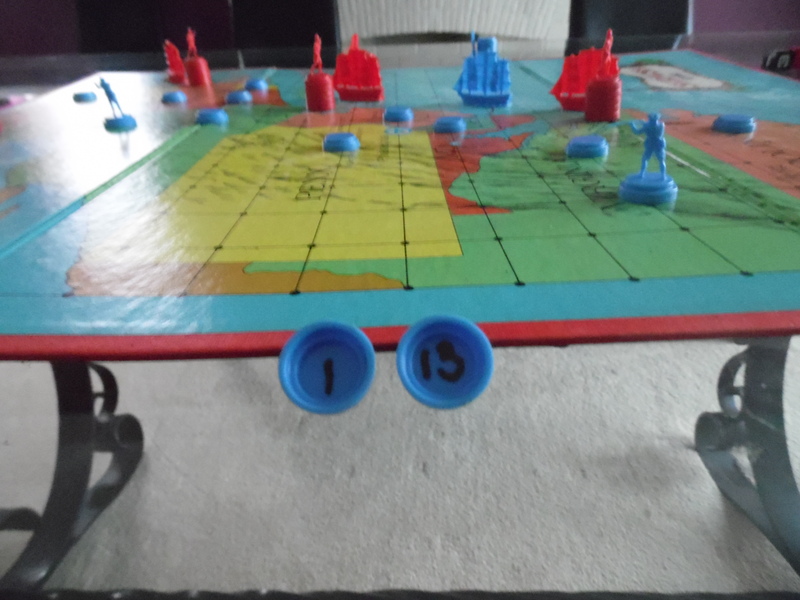 The boardgame has a watermark effect which shows hills, very subtle but this will be used to determine if the tabletop game (Land) will be set up as plain or hilly. 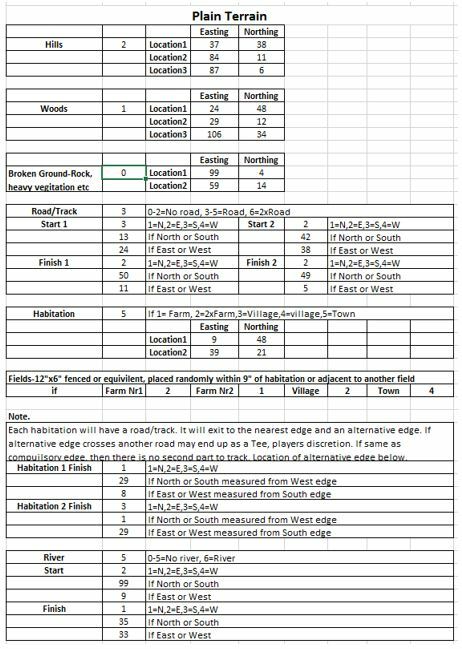 I have also used an Excel sheet to generate the terrain layout. 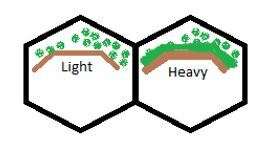 Here is an example of what the counters represent. 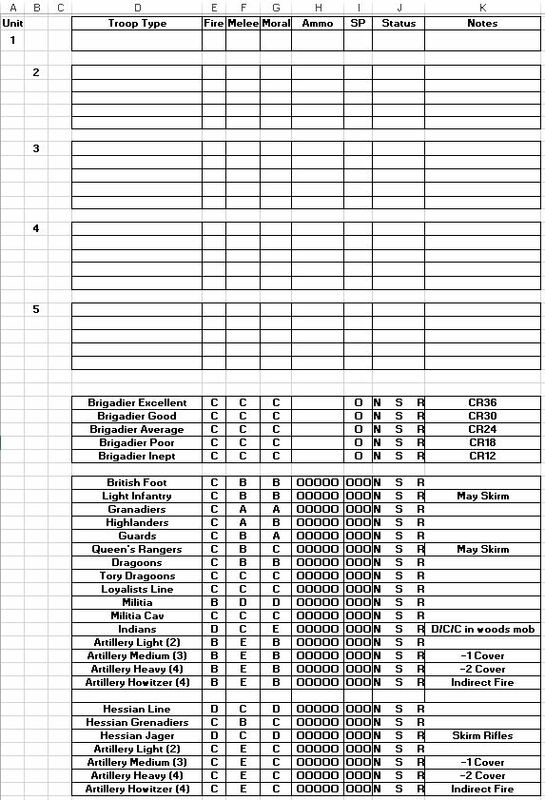 If anyone would like the spreadsheets then here they are. 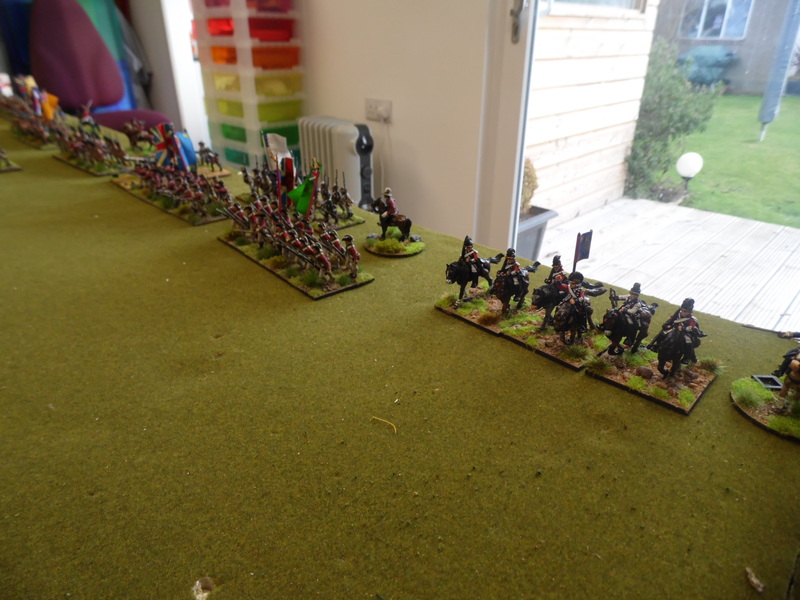 When the battle is to be played I transfer the units to their tabletop organisation. 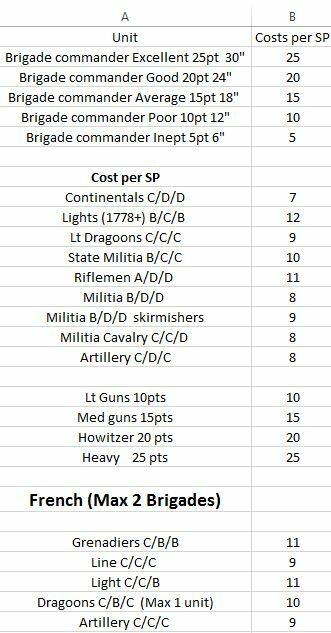 This allows me to copy the cells from the bottom depending upon the units in the brigades and paste into their tabletop structure above. One of the Brigadiers becomes the CiinC. This can then be printed and used to track units through the game. Hope this is of some interest. Next blog I will cover the terrain generator. Last month we didn’t have a big game. 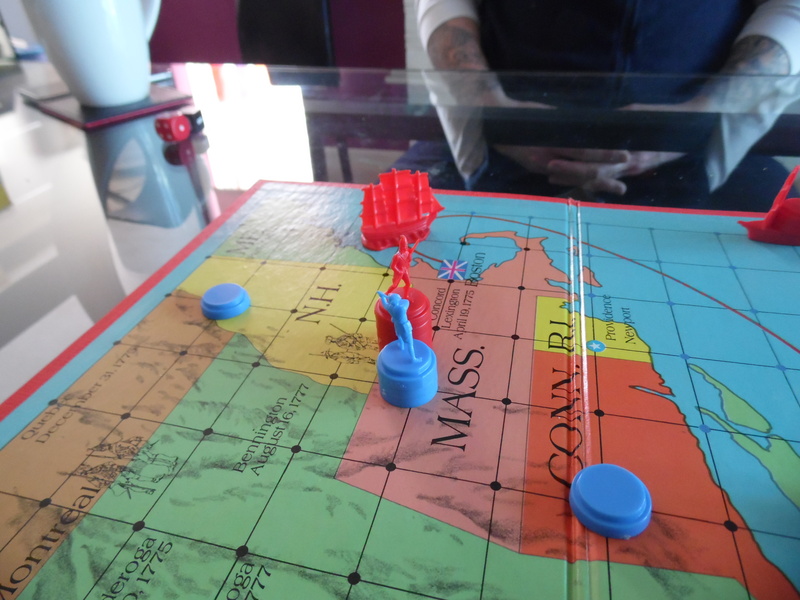 Instead Nathan came over and we played a few different board games. This was mainly due to use wanting to discuss rules and campaigns. If you have read any of my posts before you will know that I quite like the AWI. With this in mind we played a very old game called skirmish by Milton Bradley, probable from the 60-70s. 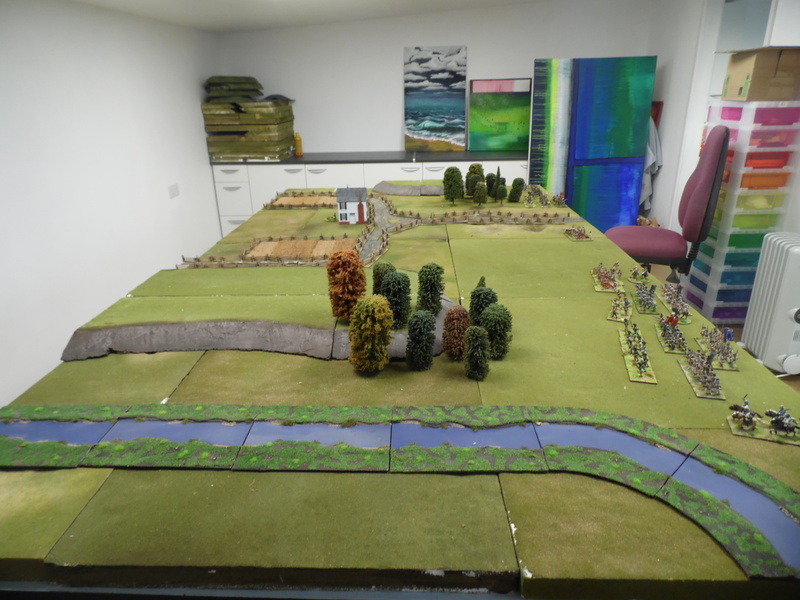 I will not bore you here with the mechanics but each side get a number of counters and for the British these are organised into 4 armies of 5 counters. They also have a number of sailing ships including a troop carrier with 2 reinforcement units for the British. These can only be requested once they have lost a major battle. The Americans have 16 counters but these are organised differently. 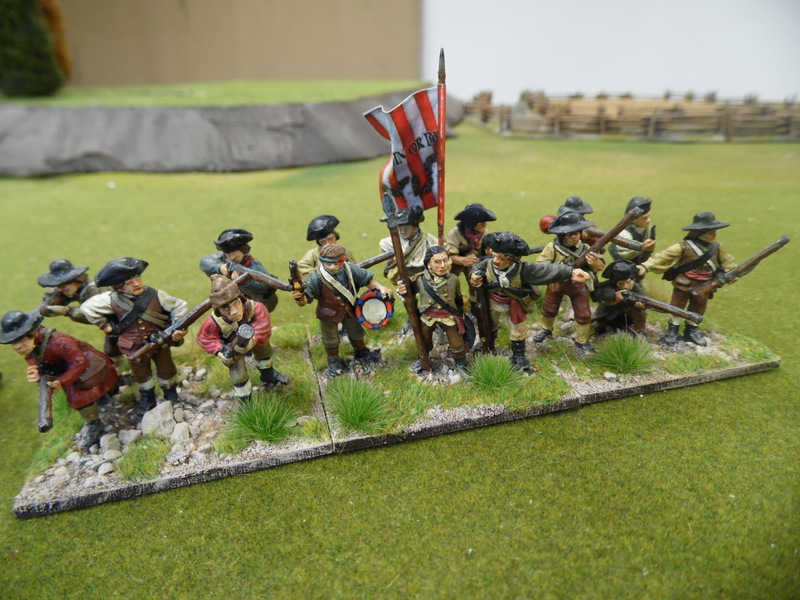 They represent 13 militia units, 2 state militia units and the Continental army. They also have a reinforcement ship which carries 4 counters. These can only be called for once they have won a major victory. There are two type of land battles. These are Major or skirmish. A major battle happens when a player maneuvers their army/unit to land directly on top of the opposition. A skirmish is when they end up adjacent to an army/unit. Skirmishes are resolved using a randomly drawn card. 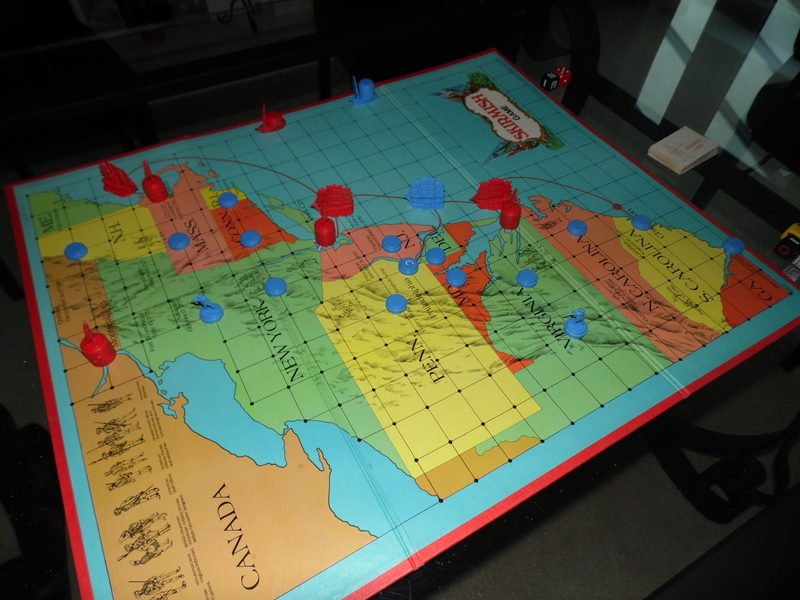 Play the game as normal but when there is a “major” battle, transfer it to the table top. Each counter if numbered could then be tracked. 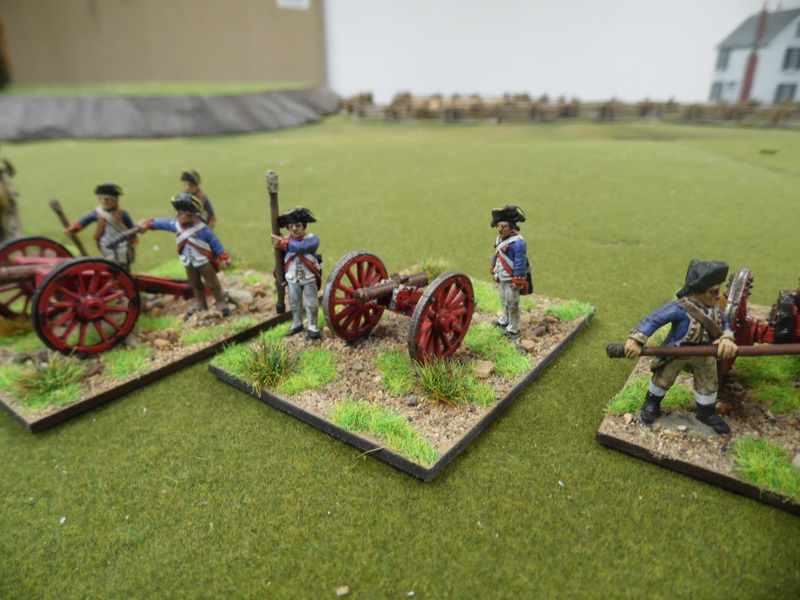 Reinforcements for the British could include Hessians, and French for the Americans. Army lists need to reflect our preferred rules” Field of Honor”. 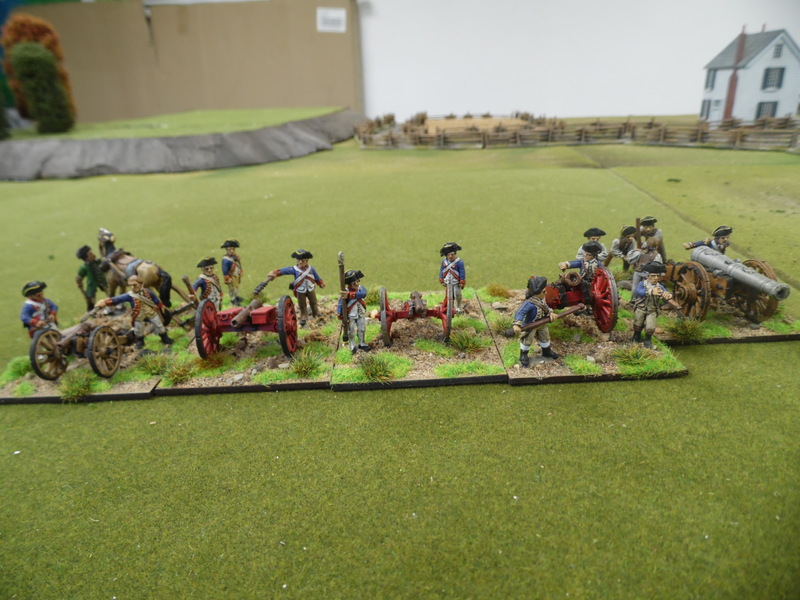 Naval aspect – recently we have played a number of different sets and none so far delivering the killer blow. They all add something but not enough for any one set to be our choice. I think this is because we will need different sets for scales of battle. More later. Tomorrow we are playing “Trafalgar” and “Galleys and Galleons”. I will now start on the army lists so back soon.